Are you looking for Alphard rental with driver in central city of Indonesia. This car is provided by some of hire car in Jakarta. Customer may order this car with driver or without driver. You may choose one of them. Most of them provide Alphard rental with driver. Therefore, you need who rent this car in Jakarta. To help you to find the best Alphard rental in Jakarta, you need list of hire car service. There are more than 25 hire car which has Alphard. Customer may choose older Alphard car series up to recent series 2018. Usually the older one is cheaper than new one. In consequence the older Alphard series less facilities and design. Therefore, you may contact one of list of Alphard rental company in Jakarta below to find the best offer. Address: Pondok Kelapa Indah B1/5 Jakarta Timur. Address: Jl Prof Dr Satrio No 248, Kuningan, Jakarta Selatan. Address Officenya berada di Jl. Komp. Green Garden blok J2 No. 9, Kedoya Utara, Kb. Jeruk, Kota Jakarta Barat, Daerah Khusus Ibukota Jakarta 11520. Office: Jl. Tanjung Duren Timur No.11, Grogol Petamburan 11470, Jakarta Barat, Indonesia. Address: Jalan Ir H Juanda No 38 Ciputat Tangerang Selatan. Address: Jalan Jayanti, Jalan Tanjung Barat Selatan Gg 100, Kelurahan Lenteng Agung, Kecamatan Jagakarsa, Jakarta Selatan. Office: Jl. H. Adam Malik Kv. 65, Kreo Selatan, Larangan, Kota Tangerang, Banten. Address: Jl. H. Adam Malik Kav. 65, Kreo Selatan, Larangan, Kota Tangerang, Banten 15156. Address: Jl. KH Ahmad Dahlan, Poncol No 2 Lebak Bulus Tangerang Seltang, Cirendeu, Ciputat, Kota Tangerang Selatan. To hire Alphard car, you need hire price information. Price of Alphard rental with driver among company are different. It depends on rental package. Longer duration cost is higher than shorter time. Further, the recent car usually more costly than older series. 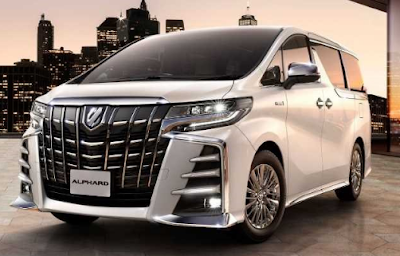 Therefore, to provide Alphard rental rate it listed by each company. List of Alphard rental with driver above is specified for 12 hour service. The lowest price is Atrans, it less than one million rupiah. And the highest one is Safira Alphard rent a car. It reach up 3 million for 12 hour. Choose the best service and price for your transportation need. You may rent for 12 hour, full day, Airport pick up, drop off, and soon.